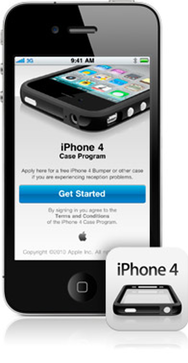 Attention, iPhone 4 users who haven’t yet snagged a free case from Apple: your days are numbered. Kind of. Apple recently updated the page on its iPhone 4 Case Program to say that the offer would be discontinued as of September 30, after the company had concluded that the antenna attenuation issue was not as widespread as had been thought. Apple also says that all iPhone 4s sold after September 30 will be subject to the company’s normal returns policy, which involves a two-week window and a 10 percent restocking fee on any opened box. During his press conference in July, Apple CEO Steve Jobs said the company would extend a 30-day return period and waive the restocking fee for users who were unsatisfied with their iPhone for any reason.